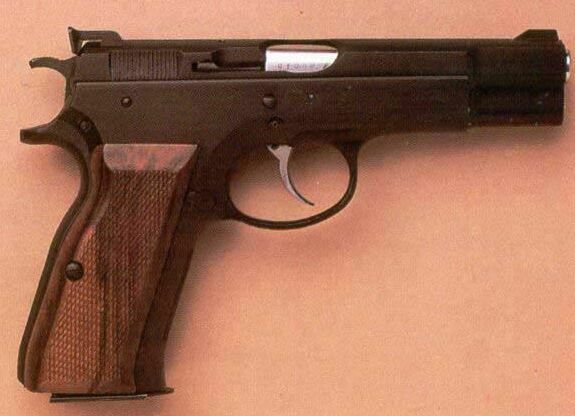 Very well made swiss copy of the czech CZ MODEL 75 semiautomatic handgun. Fires the .9x19mm-Parabellum cartridge feeding from a 15-rounds magazine (at least, for the european market). The ITM mark is now called SPHINX SYSTEMS, and the AT84-S is still in production, although with a more modern look (only chromed, and with plastic grips, instead of brown with wooden grips).